Some time ago I wrote a blog on a lawsuit filed by an American brewery against its yeast supplier, claiming it had been supplied with infected yeast. 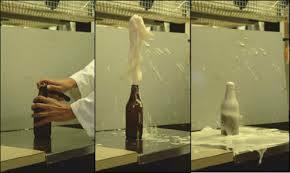 Some of the brewery’s beers suddenly developed off-flavors and showed massive over carbonation in the packaged product, resulting in exploding bottles and even cans. As a result large amounts of beer had to be destroyed and as a precaution production was suspended, searching for the root of the problem. The claim now is the root is with the yeast supplier and the brewery seeks millions of dollars in compensation. Beyond doubt is the fact that these quality issues were caused by a variant of regular brewers’ yeast, saccharomyces cerevisiae, called diastaticus. This monster appears to be wreaking havoc everywhere. Much to my surprise many Dutch brewers reacted disapprovingly on the claim. They seemed shocked by the fact the brewery in question didn’t perform any tests to see if the yeast supplied was free of contamination. In turn, this surprised me: I am under the impression that one should be able to expect the raw material supplied, particularly when producing food stuffs, is meeting the minimum quality standards and is free of any issues. But some brewers also believed the claim to be premature: didn’t the infection simply occur in the brewery itself? Yeast is one of the most fundamental ingredients in beer: it largely determines the final character and flavor profile of beer. Many breweries have their ‘own’ propriety yeast strain, carefully stored and guarded, and propagate it on site. Others simply buy yeast from a wholesaler and pitch it in the wort (or first create a yeast starter). Yeast can be used virtually eternally but tends to go ‘tired’ after a while: one then needs to propagate a new generation. Ideally a DNA pure single cell is isolated and given a nice sugar bath where it starts dividing itself like mad, creating a base for beer production. Contamination is to be avoided at all cost because then you lose control over the end result of fermentation. Yeast contamination can originate everywhere: the air around us is filled with hundreds of ‘wild’ yeasts. The point raised – did the infection not occur in the brewery? – is therefore a valid one. It can go wrong everywhere, for example when making a yeast starter, but working cleanly and precise will perfectly prevent contamination. 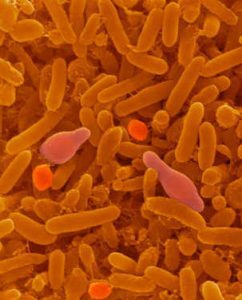 Brewing is cleaning: infections of all sorts are a constant threat, not only when it comes to yeast. But when yeast does get contaminated, the disaster is incalculable. One doesn’t simply change back yeast’s DNA and before you know it, you only breed dogs with seven tails. In past weeks I spoke to many people who really know about this stuff – let’s face it, I am neither a brewer nor yeast expert, so I am largely in the dark here. Some things became painfully clear to me. Testing your raw material – don’t make me laugh! Provided a supplier is forced to supply as per agreed specifications, I was under the impression no brewery would be performing tests on incoming ingredients. Apparently some breweries do: malt, water, hops and yeast undergo rigorous tests so the brewery has full control over the outcome of the brewing process. By the way: diastaticus isn’t proved easily, most of the time DNA tests are needed to prove it’s there. I can fully understand why breweries are unable to perform such tests, all the more reason to hold suppliers accountable for what they actually deliver. 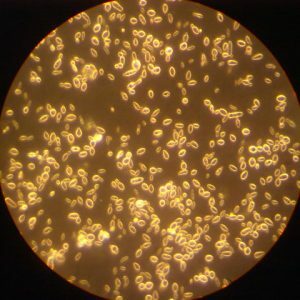 Some fifty years ago extensive research was done to explain sudden and inexplicable problems in packaged beer – sudden off-flavors and incredibly high levels of over carbonation were the biggest issues – leading to the classification of saccharomyces cerevisiae variant Diastaticus as a separate yeast strain. This strain, as opposed to ‘regular’ s. cerevisiae, also attacks dextrin which means it attenuates further and more extreme than regular yeasts. Moreover, fermentation takes longer so the problem is usually noticed only very late. Diastaticus is these days also sold commercially as specific saison yeast, often named Belle Saison, since one can brew good beer with it. It is of course of the highest importance to keep this completely separated from other yeasts, just as one would do with for example brettanomyces. You want to avoid contamination at all costs. So here the point raised that breweries have their own responsibility too is very valid. There are plenty enough examples of incidents across the world where breweries didn’t take this task seriously enough and kept having contaminated or infected brews, in all cases traceable back to incompetent yeast management or inapt hygiene. In some instances these issues led to the brewery going out of business – perhaps not the worst result. 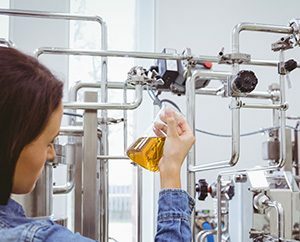 Having said that, contamination can also happen in the yeast lab, in the heart of the supplier’s production facility – this can be proven by DNA tests. In the case of the American brewery filing suit, this is part of the claim: the contamination was already present in yeast supplied. This is for the judge to look at. Point is though that we have reason to suspect many more breweries may have received impure, diastaticus contaminated, yeast. Also, the problems seems not limited to one supplier only. Thus, a lot of beer is under threat. What became very clear too is that many breweries are currently coping with diastaticus related issues. Not just in America, but also in Europe – and thus in the Netherlands – it may well be the biggest problem of brewers today. There are lots of incidents, most of them unknown to the public, where breweries recalled product because of these problems. 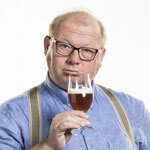 Among them are renowned and well-known breweries. Yet hardly any brewery addresses the issue in public, largely because of legal reasons – it seems one best keeps ones powder dry for potential claims of damages. From a legal standpoint this is understandable, but in practice it means lots of infected and contaminated beer is in the market. It is said the largest part of gushing issues (where the beer bursts out of the bottle upon removing the crown) is related to diastaticus related problems. A disaster for brewers, but for consumers too: how many more ceilings need repainting, how many more carpets and sets of clothing need to be send to the cleaners, and how much more beer gets spilled – for which we paid dearly? The consumer may well be the biggest loser here. 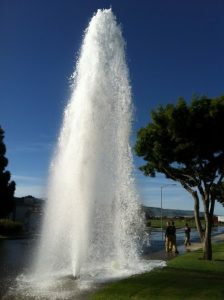 Gushing, as said, is one of the possible effects of contamination with diastaticus. In past years this phenomenon seems to be occurring more and more, particularly with beer from small, artisanal – or craft – breweries. Not just in the Netherland but all across the globe this is an issue. Just Google for half an hour and you stumble upon tens of discussion in brewers’ forums or consumer sites, talking about gushing. Some brewer’s forums talk about the possible diastaticus cause. It may very well be diastaticus proves to be the plague, or Spanish Flu, of beer and therefore needs to be fought quickly and carefully. The monster called diastaticus is everywhere and can ruin our costly beer – not a happy perspective. It may also lead to many smaller breweries going out of business. I really hope brewers will unite and start a joint, thorough investigation. I hope yeast suppliers will do the same. 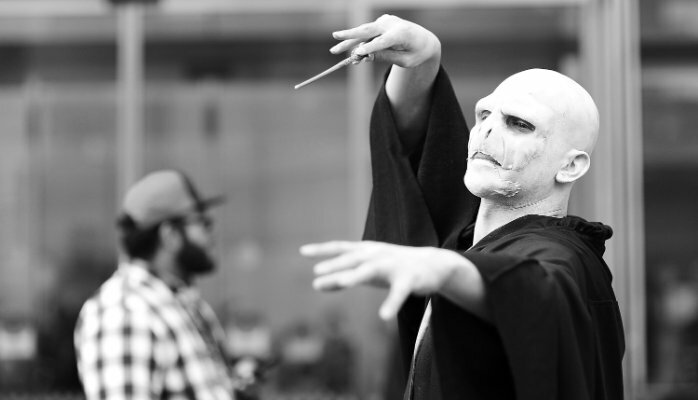 Us, consumers, cannot do much more than burning an extra candle for now. So, that’s what I’ll be doing tonight. In my experience, the most significant sources of Saccharomyces diastaticus are biofilms in the propagation and packaging areas. Essentially these are brewery adapted microbes. Sound brewery hygiëne should minimise risks asociated with this microorganism.